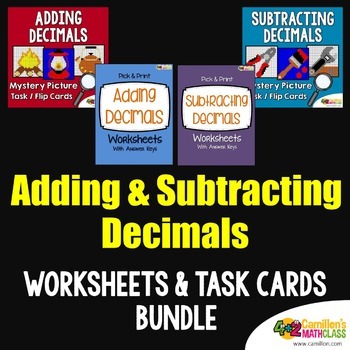 This is a bundle will help your students to learn to add and subtract decimals. 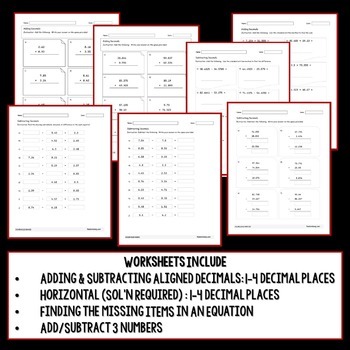 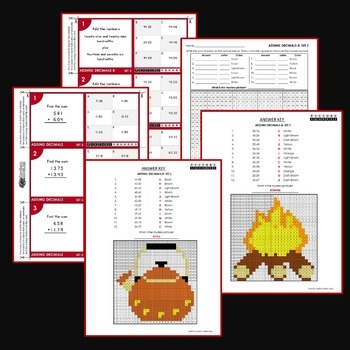 It includes the classic worksheets and the adding and subtracting mystery picture task cards/flip cards. 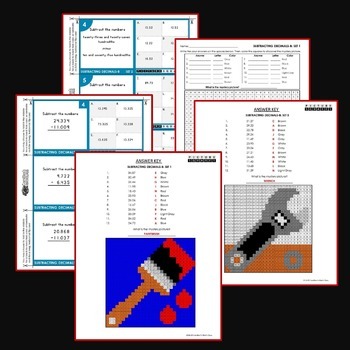 Kids love solving mysteries, and they will enjoy uncovering the mystery picture after answering all the cards in this adding and subtracting decimals mystery picture activity.